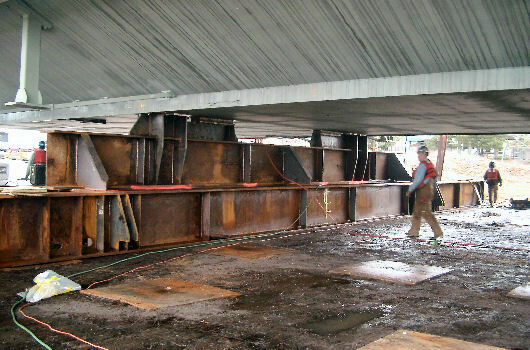 For the new bridge between Oakland and Yuerba Buena Island, a 200 ft long steel transition box, or tub, was transported from its construction site in Vancouver, WA, to the installation site in the San Francisco Bay. 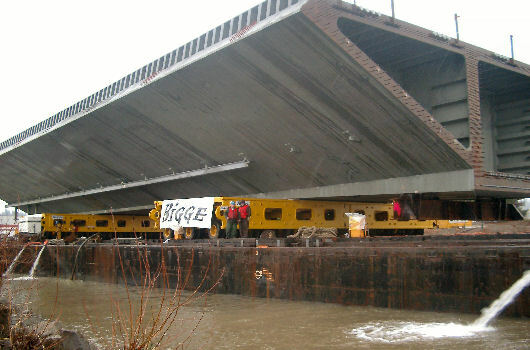 Early January 2006, using 2 sets of Scheuerle self-propelled hydraulic modular trailers, the 1,500 t heavy tub was slowly rolled onto the barge LUCKY LOGGER, while the barge was (de)ballasted to maintain level with the dock. 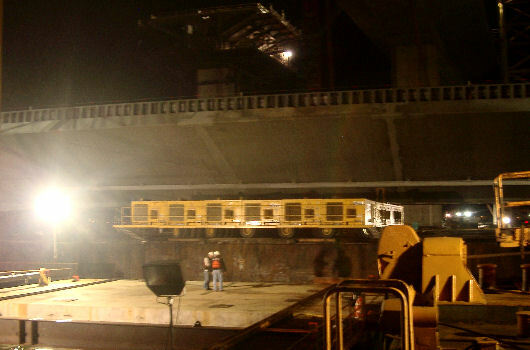 Once in position, the East bound tub was lowered onto the grillage structures. 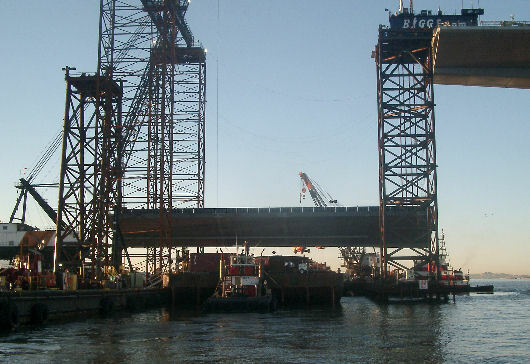 The tub grillage was designed such that it could be re-used with minimum modifications for the second (West bound) tub, to be transported later this same year. After securing and receipt of a favorable weather forecast, the barge departed and was towed to Oakland, CA. Upon arrival, the trailers were combined and repositioned under the center of the tub. The barge was towed to site and moored. The tub was lifted free of the grillages and rotated 90 deg. The tub was then lifted off the trailers using computer controlled strand jacks. This same operation was repeated later that year for the West bound tub. On-site assistance during loading, seafastening, and rotation operations.